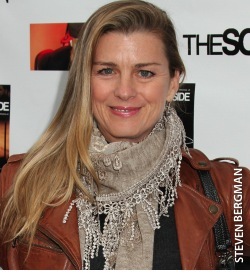 THE BAY The Series Press: ABC SOAPS IN DEPTH: Hutchison Joins THE BAY! Fiona Hutchison (Gabrielle, ONE LIFE TO LIVE; Jenna, GUIDING LIGHT; Celia, AS THE WORLD TURNS) is the latest soap veteran to join the popular Web soap THE BAY! When Season 2 picks up next month, Hutchison will be playing a mysterious character linked to many Bay City residents.